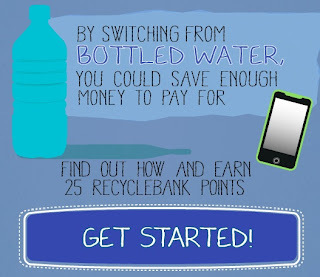 Show and Tell Meg: 135 New Recyclebank Points! Man, Recyclebank sure was busy with new code opportunities right after I left on vacation :) Here is a round up of all 160 points you can get added to your account! 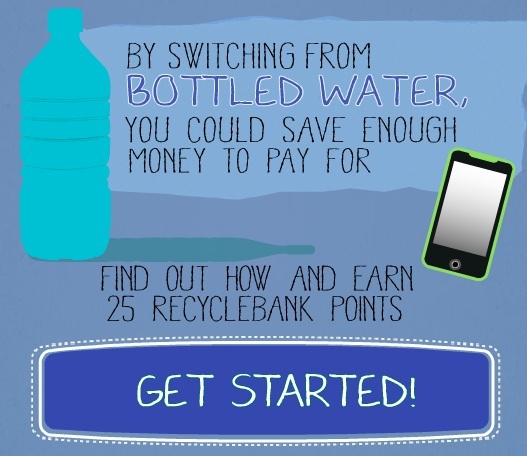 First, sign into your Recyclebank.com account. Click on "Earn Rewards" and then click the Green Your School Year logo. Take all the pledges and surveys to get a total of 80 points! Then, go back to the Recyclebank main page and look to the right hand side for this box. Click it to take the pledge and receive 5 points! Then click on "Earn Rewards" again and scroll down until your see this icon. 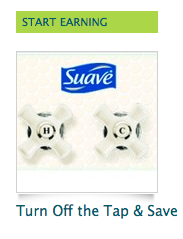 Click it to take the Suave plege and receive 25 points! 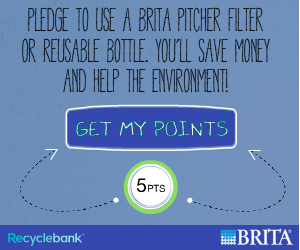 And finally, go here to take another Brita Pledge and receive 25 points!